Export Used Cars in Blackburn, Lancashire. Global Automobiles are able to help export vehicles to overseas Customers on a regular basis. Many of our cars go to Europe, Africa and Asia. At Global Automobiles we stock a wide range of cars, take a look at our Current Stock List. We are happy to arrange Export Service for Dealers and Private Individuals abroad. 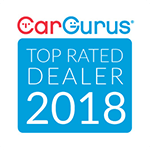 If we don't have the current cars you are looking for in stock please contact us and we will try to source the cars for you. We are also happy to arrange export services for clients residing abroad. We have the knowledge and expertise to service all our trading partner countries by-laws and regulations. Global Automobiles seeks to be at the forefront in this field and has gained a very high reputation in the South & East African, New Zealand export markets, below are some of the countries we supply. We obtain only good quality vehicles. We test drive every car. We fully valet the vehicle before shipping. We arrange and prepare the shipping of the vehicle. We deliver the vehicle to the UK port of departure. For more information on Export cars please call The Sales Team at Global Automobiles on 01254 699 655 or from outside the UK on 00 44 1254 699 655. You can also email us at sales@globalautomobiles.co.uk.